I could not and would not arrive for a show taping with a totally worn-out dado stack, so a week before my appearance I purchased a new stack. It’s the same stack I use today, if and when I use a dado stack. 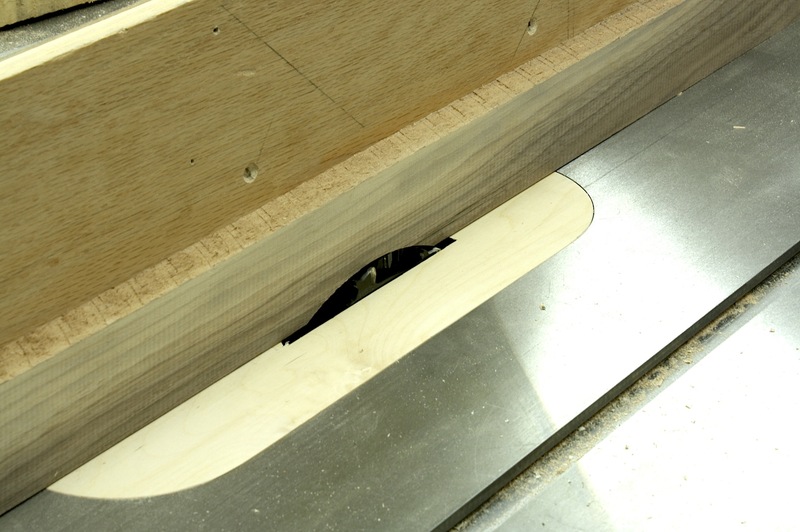 You see, at the time of the taping and for the most part today, I had moved away from using a dado stack to cut rabbets – I had found other methods that were easier. By easier, I am not talking about the actual use, but about setup. Dialing in a dado stack for an exact thickness is a pain. 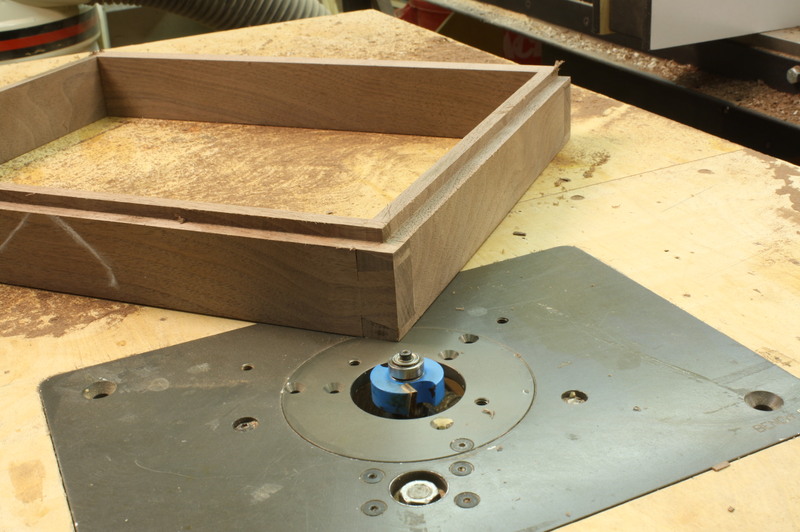 I find it much easier to grab a router, pattern bit and my platform jig to get an exact 3/4″-dado for shelves, or a straight fence to create a rabbet along the back edge of a case piece to hide backboards. Also, there is a rabbeting router bit that works just fine, and that is how I cut rabbets these days. I have a friend who was in the shop building the “Southern Lady’s Desk” from the November 2011 issue of Popular Woodworking Magazine. 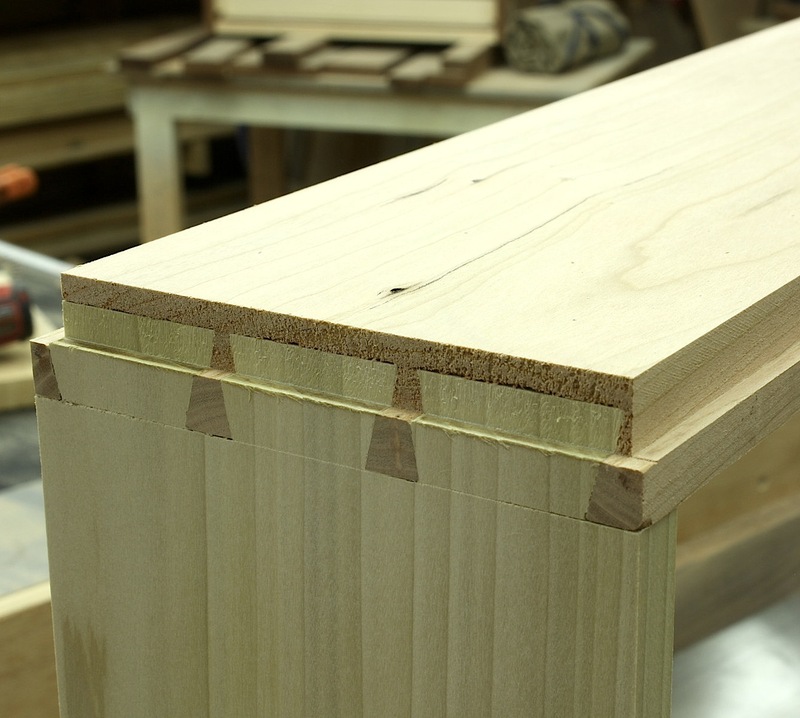 As he rabbeted the lower drawers for the 1/8″ bead, he had tear-out that was significant enough to damage the drawer front even though he routed the end grain first. It was so bad that he had to make a repair before moving on. That stuck in my head as I thought about cutting rabbets for the ten drawers on which I was about to add beading. With ten drawer fronts there is certainly enough work to warrant setting up a dado stack, so I did. I set my stack wider than the rabbet, then buried part of it under a sacrificial fence as shown to the right. After I adjusted the depth of cut, I ran each drawer over the blades, end grain first. With each drawer completed, I checked the cut to see if there was any tear-out or other problems. Happily, none was found. Will I pull out my dado stack whenever I have a rabbet to cut? I doubt it. I did, however, rediscover another technique for cutting that rascally rabbet. 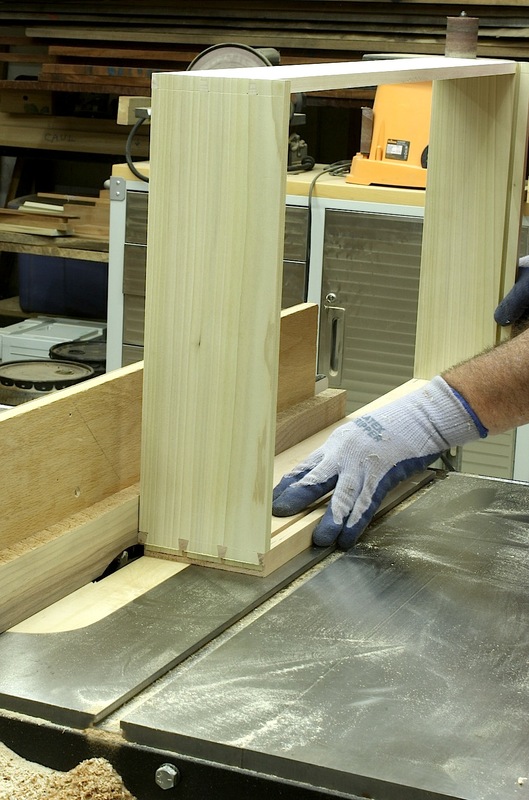 That makes four that I use – tablesaw without a dado stack (two-step rabbet) tablesaw with a dado stack, rabbeting router bit and a router with a pattern bit and fence. As I say about most woodworking operations: Know as many different techniques as you can, then pick the technique that works best for you. Or choose the technique that is best for whatever you are doing.